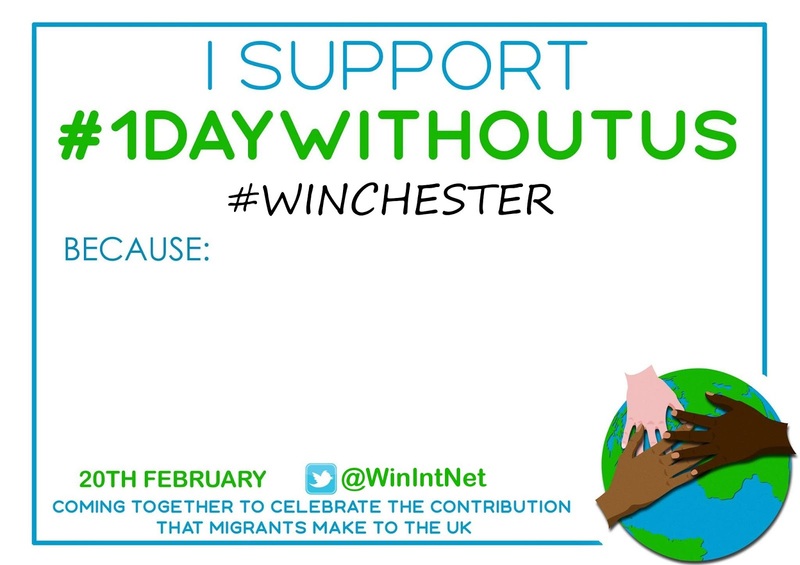 Winchester International Network is hosting a local event as part of the national One Day Without Us campaign, to highlight and celebrate the contribution migrants make to the UK. We are planning to have an informal picnic at lunch time in the park. 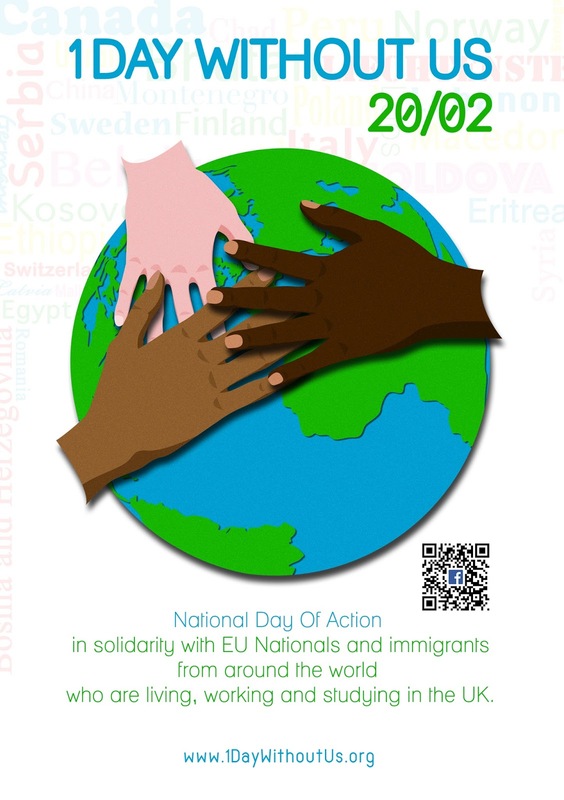 This is not just for 'foreigners'! Everybody is welcome! The idea is to meet from 12 onwards, sit down to eat and chat (with or without EU flags showing), then at 1pm get flags out and take some photos to post in support, possibly sing Ode To Joy together, and then disperse. Bring a picnic, something to sit on, and good spirits! If you have one, bring along a flag (EU or your home country, can be just printed A4 paper). Let us know whether you would like to join or if you have questions! Find the event on Facebook!